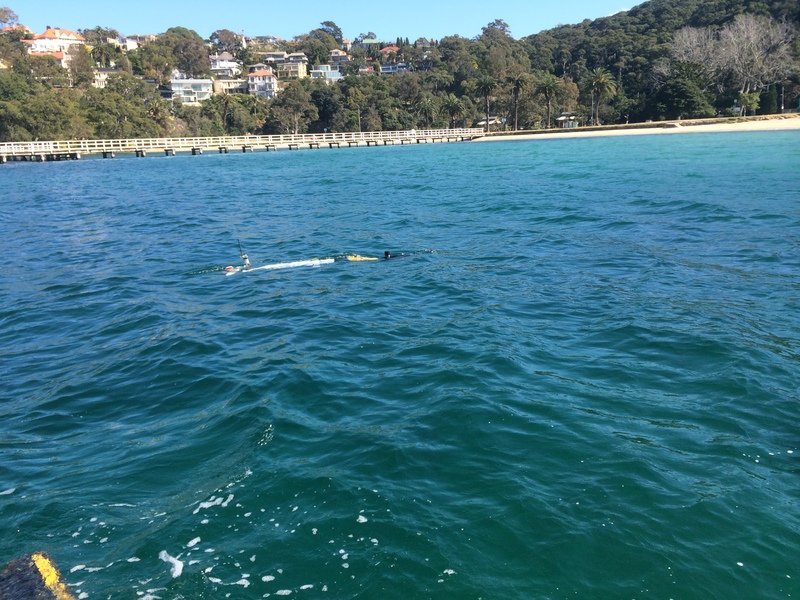 We have recently been testing our Iver AUV at the Sydney Institute for Marine Science at Chowder Bay near the mouth of Sydney Harbour. This vehicle is intended to allow us to conduct research into novel methods for seafloor mapping, planning and control from a platform that can be launced from the shore or a small boat. It also serves as a testbed for new capabilities being developed for our larger vehicles. We are currently testing a number of new hardware and software systems on the vehicle and it will ship to Greece in September to assist with surveying of an ancient wreck at Antikythera. Our Iver AUV undergoing trials at SIMS.